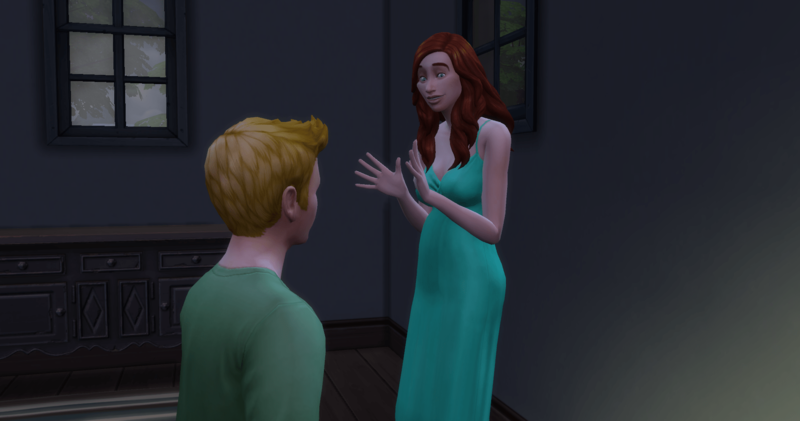 Gwen Potter moved into a small house in a small neighborhood in Willow Creek. After unpacking her few belongings, she found a job as a Waterperson for the local sports team and then spent some time on the treadmill getting pumped up. 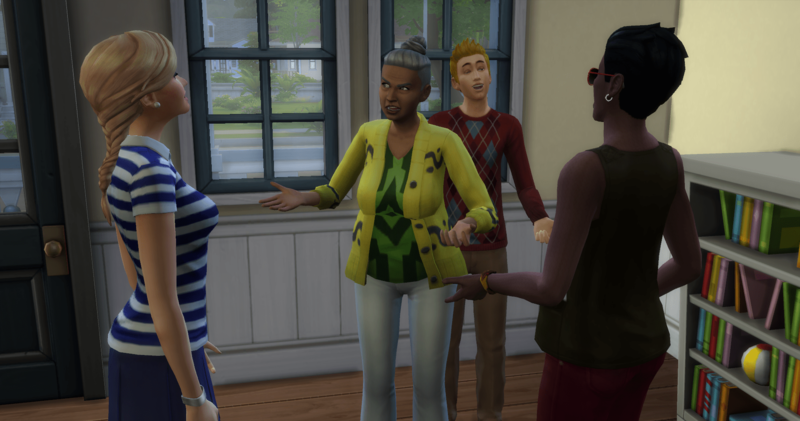 Generally I start off in Newcrest, so welcoming parties always surprise me. I finally figured out why even if I socialized with the neighbors they always left at the end of the part irritated and feeling not wanted. All you have to do is prepare a meal and invite them to eat. Then you can go take a shower. 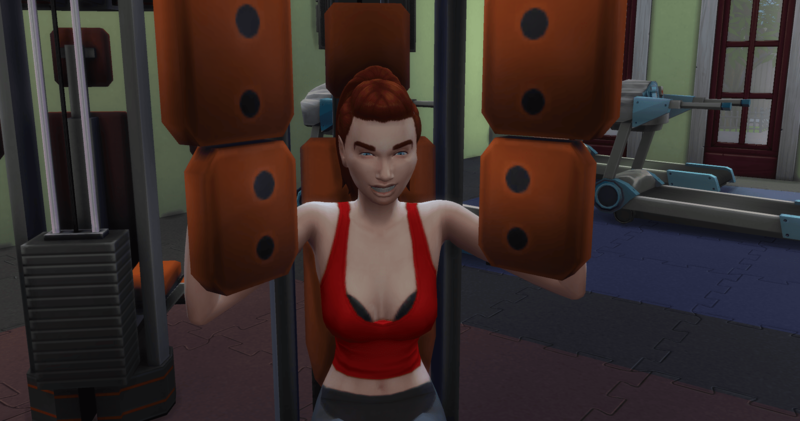 After the neighbors left, Gwen headed down to the gym. She had one of the trainers give her some pointers and after she pulled a muscle, she headed back home. On Monday, she saw one of her neighbors walking by looking dejected. She struck up a conversation and did what she could to cheer him up. Travis seemed like a nice guy and they hit it off and quickly became friends. 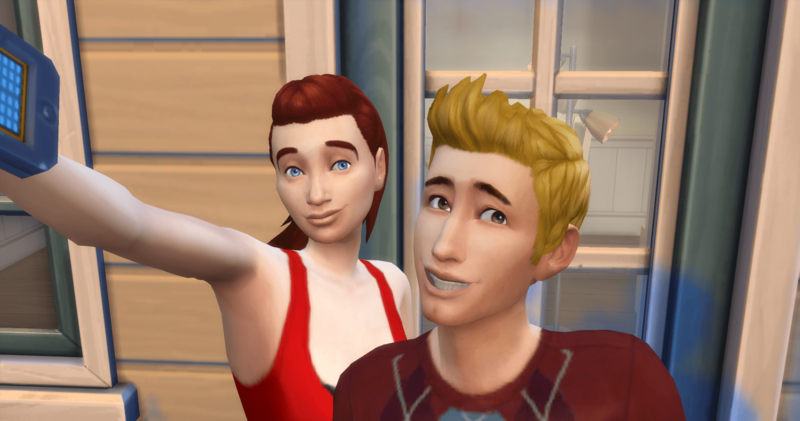 Travis lives next door with two female roommates that he doesn’t know very well. By the end of the evening, he has agreed to date, marry, and move in with Gwen. 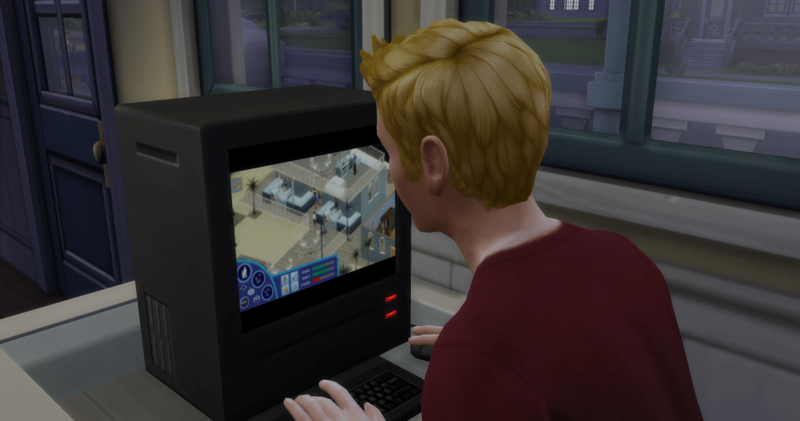 Travis spends their first evening married by playing games on the computer to prepare for his job. Gwen has some leftover fruitcake and then they head to bed. 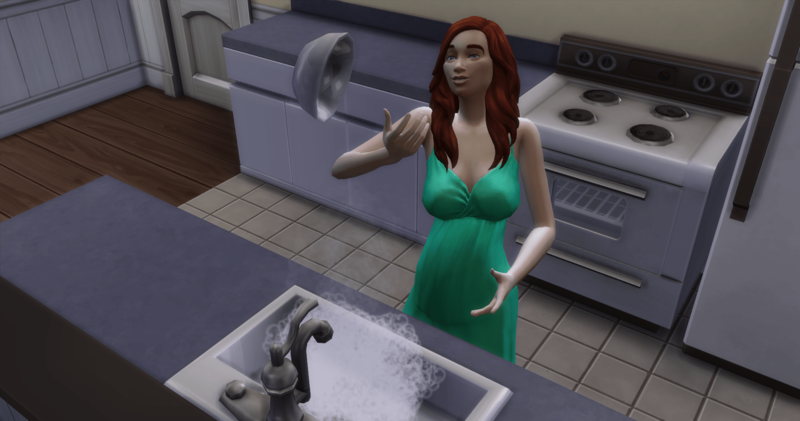 Every time Gwen washes the dishes, she breaks or almost breaks something. Before the week ends, we have a baby boy, Cecil Potter. 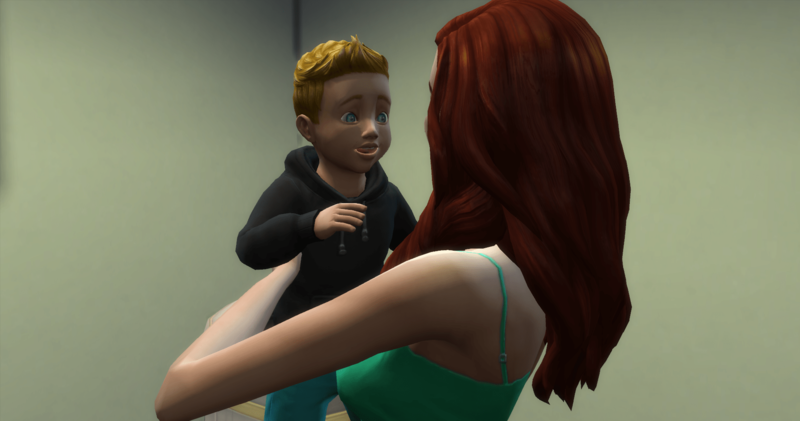 On Sunday morning, it is time for Cecil to become a toddler. 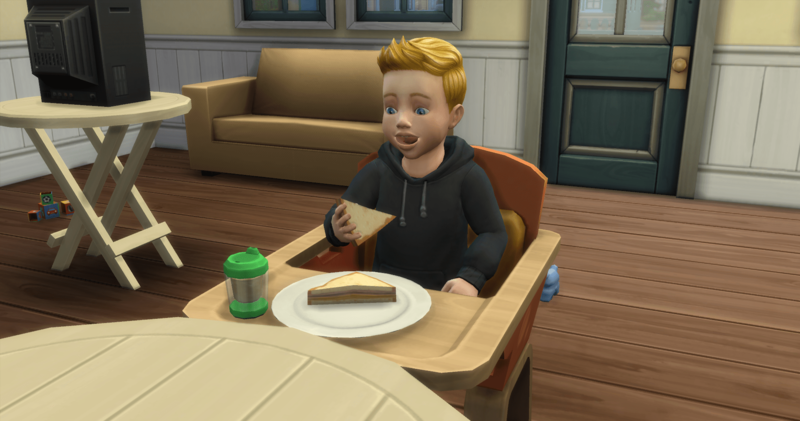 Cecil gets a ham and cheese sandwich with some apple juice for breakfast. And then it is off to bed for him. And off to the next house for us.